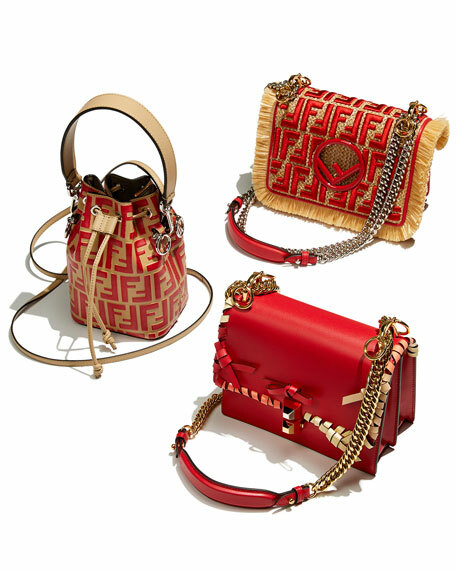 Fendi small calf leather bucket bag in allover FF embossing. "Mon Tresor" is made in Italy. For in-store inquiries, use sku #2481251. 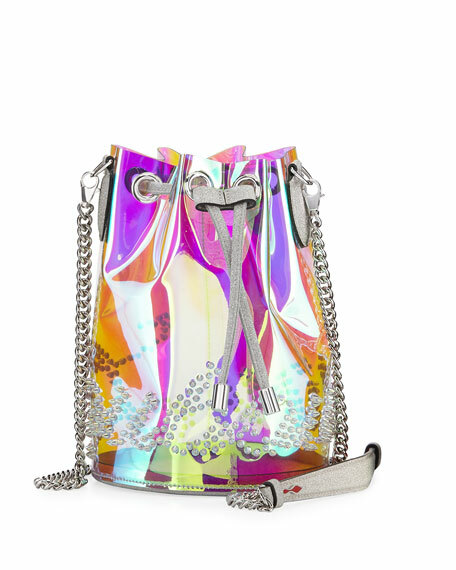 Christian Louboutin bucket bag in "GlitterSunset" holographic vinyl, embellished with iridescent spikes. Glittered faux-leather (polyurethane) trim and base lining. 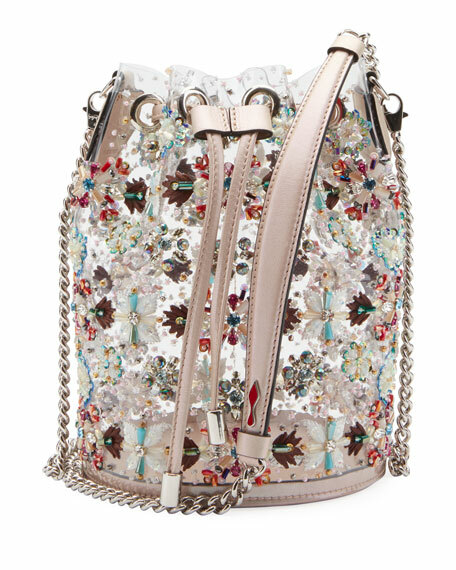 Detachable shoulder strap with chain insets. Drawstring cinches top of bag. 7.7"H x 5.5"W x 5.5"D. Made in Italy.